Welcome To Our “VIP” Buyers System! – We remove the mystery by reviewing with you, step by step, the entire process of buying a home. From the variety of properties, offer procedures, financing, right down to what happens on closing day. We want you to fully understand the buying process. – We review with you ALL homes presently on the market in your price range and let YOU decide which ones you prefer! 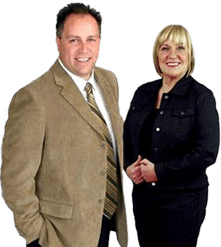 With TIM ALBRECHT &THE REMAX TEAM “VIP” Buyers System you will have access to all the up to the minute latest listings days or weeks before other buyers even know about them, giving you the ultimate control and advantage in the market. And you will receive a pre-approval at absolutely no cost! WE’RE NOT NUMBER ONE…YOU ARE!